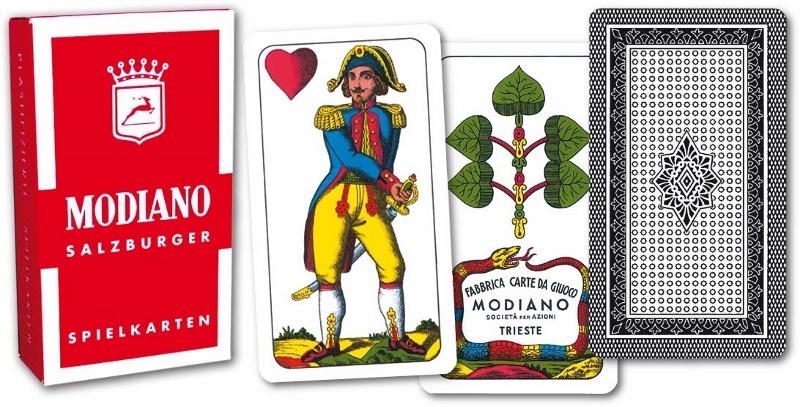 A classic Northern Italian deck (Trentino Alto Adige Region) by Modiano with Austrian - German - Swiss traditional suits: Acorns, Bells, Hearts and Leaves (Greens). 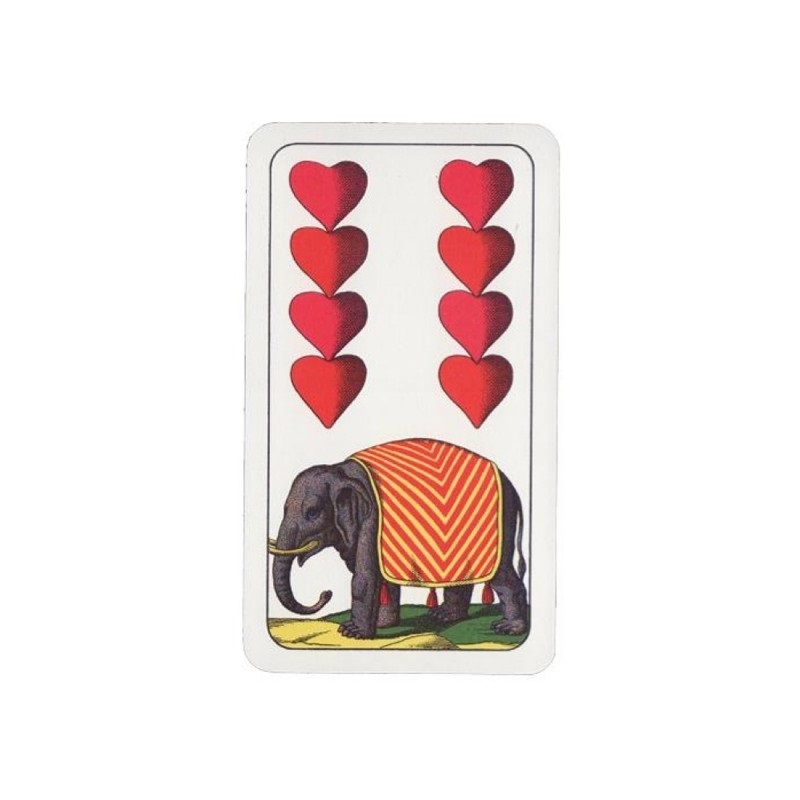 1 deck 40 cards - card size 57 mm x 101 mm. Modiano Triplex Printing manufacturing method for enhanced strength and durability. 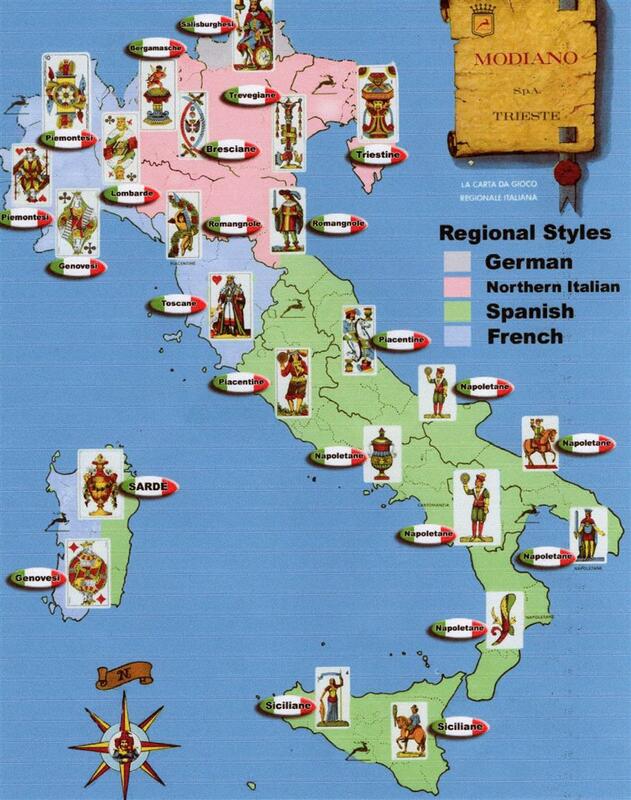 Modiano (Trieste - Italia) since 1868, is synonyms of Innovation, Mastery, Quality, Tradition, in playing cards crafting - production.